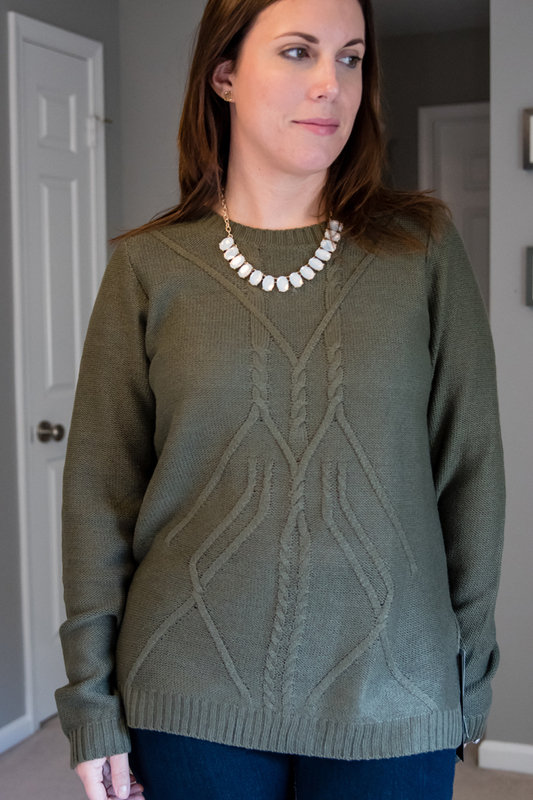 The last Stitch Fix I got was in July. While I did end up loving and keeping a maxi dress, I was very disappointed with the rest. I had my deliveries scheduled for every three months, but decided to put them on hold indefinitely. I had been having success shopping on my own and thought maybe I needed a break. 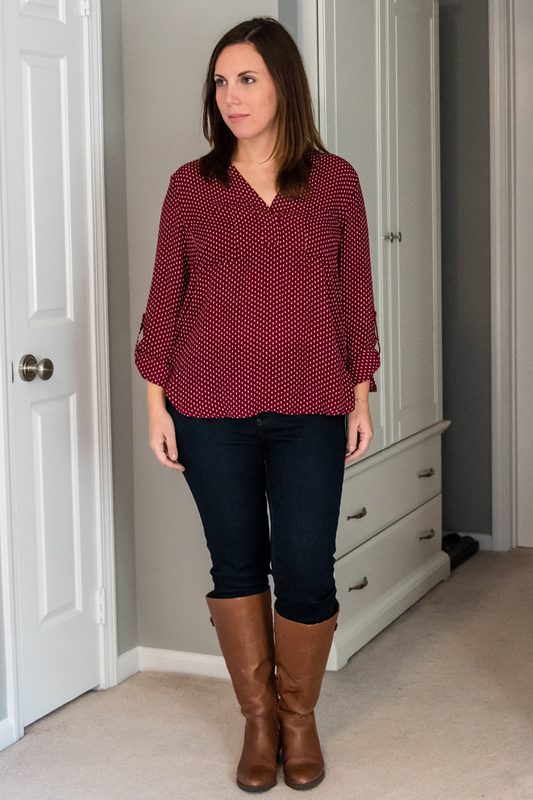 But a few weeks ago, Stitch Fix reached out to me and offered to waive my styling fee. Since there was no risk involved, I decided to give them another chance. I was really excited for this shipment because a lot of my blogging friends have been receiving and sharing some really beautiful fall pieces. Keep reading to see what I received, what I thought of it all, and what I kept! For the first outfit, I'm wearing three of the pieces that I received. 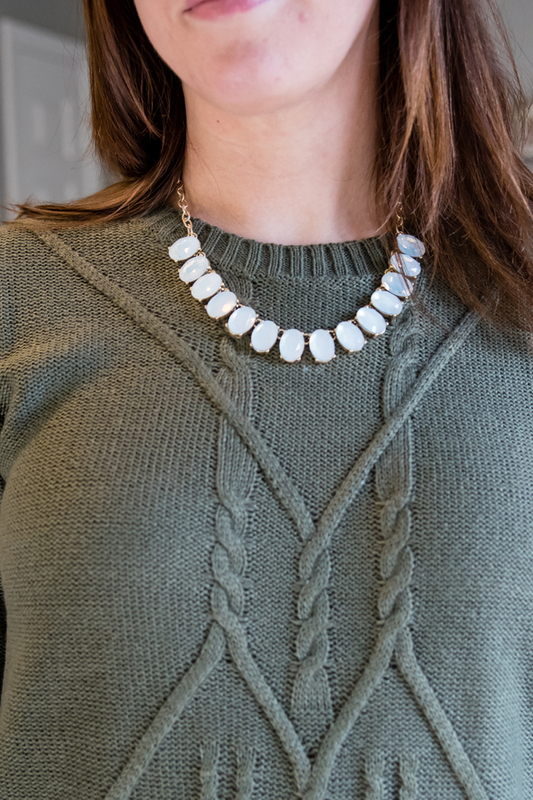 The Clae Cable Front Pullover, Elizabeth Super Skinny Jean, and the Jackie Oval Stone Necklace. 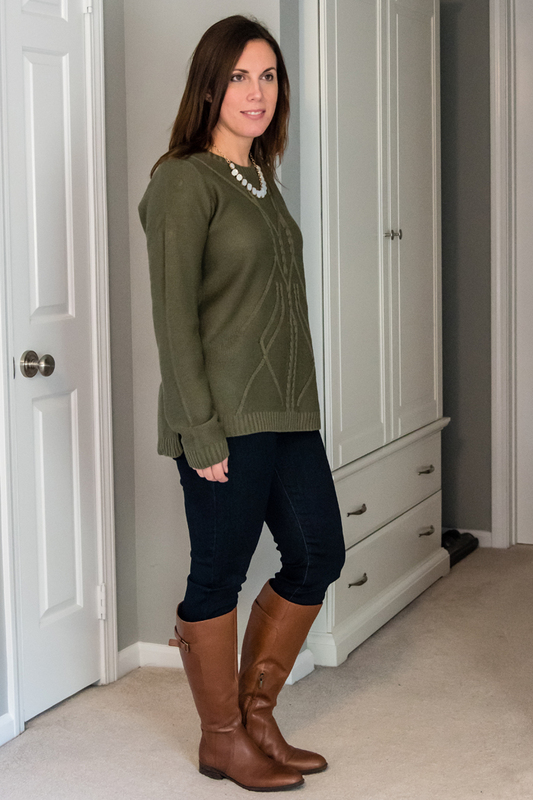 It's funny, because while I love this outfit, when I first pulled the jeans and sweater out of the box, I was a little skeptical. The jeans don't have a button and zipper, but are more like leggings. At first I was disappointed by this, and actually wondered if they sent me maternity jeans, but this is now one of my favorite features of these jeans. The best part, is they still have real back pockets and work really well with my riding boots. While I can cuff them to wear with booties or flats, I'm contemplating hemming them if I decide to wear them that way more often. And as for the sweater, I was hesitant because I often have a hard time finding sweaters that I like. They are either too fitted, too loose, or just look too bulky. But I really liked the color, the detailing, and I really love how it looks on. The necklace is really pretty, but I honestly have a few very similar necklaces. If I didn't though, I totally would have kept it! 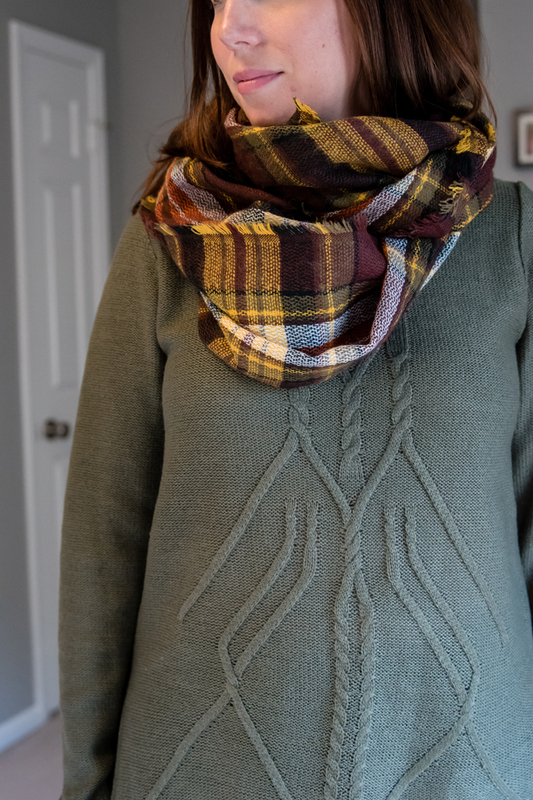 As soon as I tried on the sweater, I thought of the scarf Stitch Fix sent me last fall and thought they would look great together. I really like how they go together and think this would be perfect on a colder day! 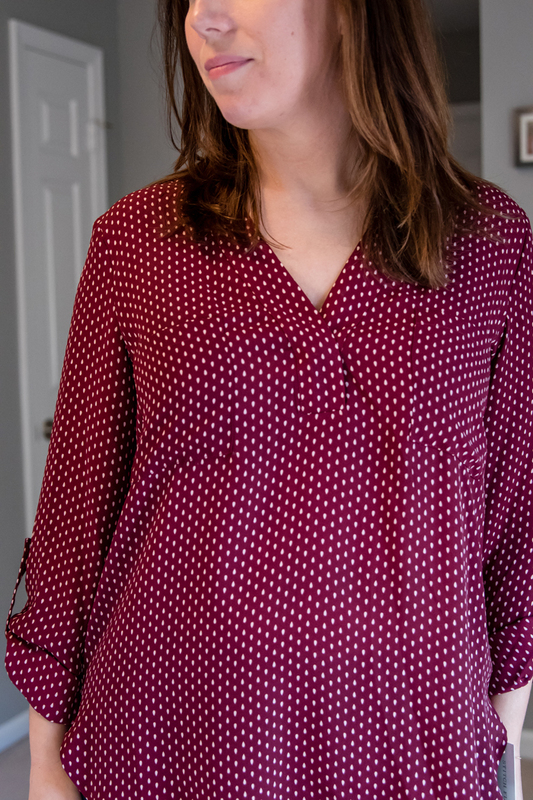 When opening the box, this Elby Split Neck Blouse was the first thing that caught my eye. I really loved the color and the polka dot detail. I wavered back and forth on this blouse a lot! In the end though, I decided to send it back simply because I can find similar tops at Loft for cheaper, since they are always having a sale! After liking everything so far, I was wondering if I might get my first 5 for 5. Unfortunately, I was disappointed with the Deron Beaded Trim Blouse. While it doesn't look bad, I don't think it's anything special. But the real deciding factor is that it was very see through, meaning I had to wear a tank underneath. And at the price, I really did think it was justified. 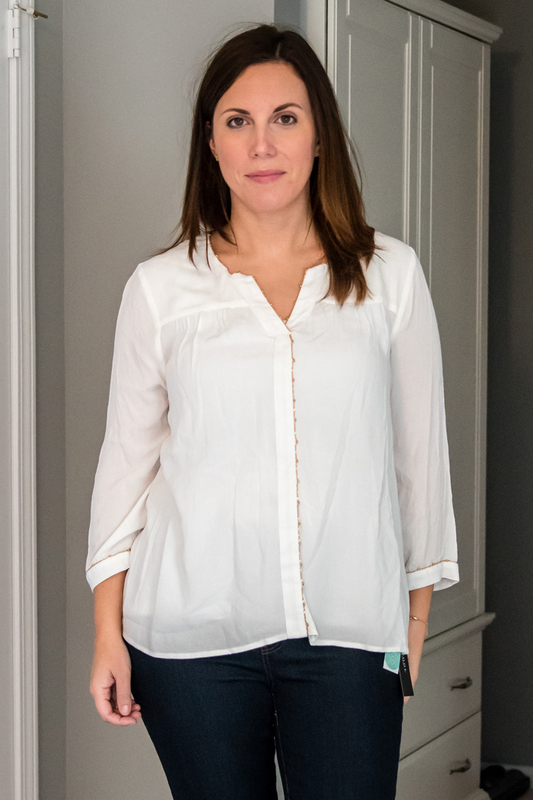 Part of me wishes I could find a white blouse to add to my closet, but it is nearly impossible to find one that isn't sheer! 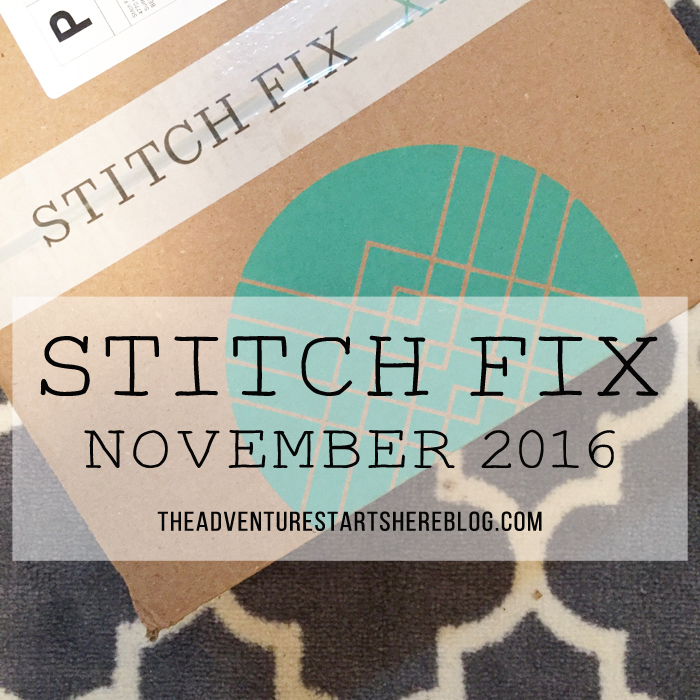 If you are interested in signing up for Stitch Fix, I would really appreciate it if you used my referral link! What do you think? Did I make the right choices? I absolutely love what you kept! I would have kept the same things! Those jeans sound amazing! I'm not much of a sweater gal myself either. Cardigans, sure! Sweaters... not so much. I do love the color of the one you kept though. The jeans and sweater are great! I have a sweater in a similar color and I can't find it! It's driving me crazy! You can never go wrong with jeans!!! Love what you kept! Those jeans are awesome! That's exactly what I want in my next fix. And I love the white top and the polka dot one too! You look great in everything! 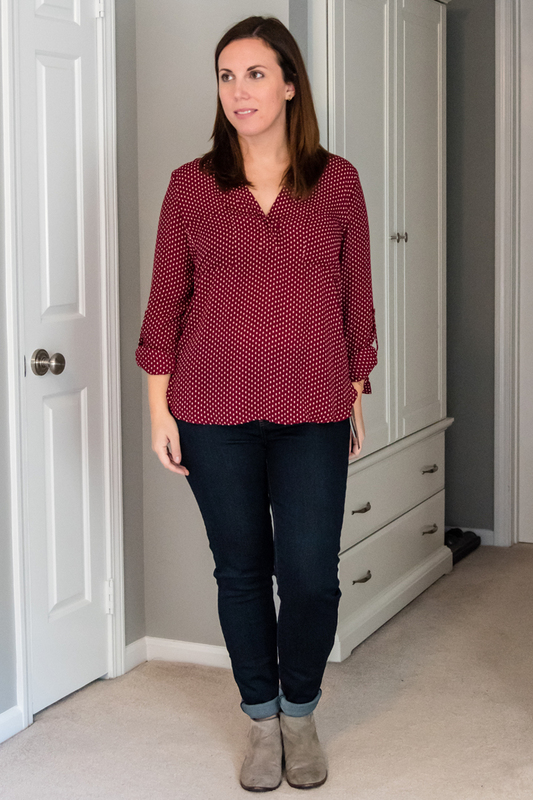 Stitch Fix always sends the best jeans! You looked great in all of it, but I loved what you kept. That color on the sweater is so so perfect for you! That olive looks amazing on you! I agree with your kept items. I think white can be so tricky! I like the top but maybe if it wasn't see through. I mean... who wear sheer this time of year? It's far too chilly! Those jeans sound fun! It'll be odd to button things again after having this baby. Or maybe I'll just live in leggings. And never leave the house. I think everything was flattering on you! But, good picks with what you kept. I love love love the sweater and jeans! It's been forever since I've gotten a fix. I'm thinking I need to schedule one soon!! Good choices! The green looks so good on you and the jeans are a great fit. I really like that burgundy top on you too. I agree and love what you kept! That sweater (and color) looks so great on you! Those jeans are coming in my next fix! It's my first postpartum one so I'm really excited about the no button and zipper thing! They look great on you!